Contact the Mango Maids team today to schedule a Saskatoon carpet cleaning consultation! Carpets are meant to create a warm and cozy feel in any given room of a home or business. A dusty, stained or otherwise dirty carpet can quickly create a much less appealing atmosphere within a room. Carpet cleaning services can keep the carpets in your Saskatoon home or business safe and spotless. Carpet cleaning can be ideal for stain removal in your carpeted areas. Carpet cleaning services can drastically reduce the dust in your carpeted areas. Mango Maids utilizes eco-friendly carpet cleaning products and processes. Mango Maids s here to service your commercial or residential Saskatoon carpet cleaning needs. Book a carpet cleaning consultation with Mango Maids today! Call us or book online through or website! Saskatoon carpets face a range of potential contaminants. Snow, dirt, and dust from outside can quickly be brought into your home or business and absorbed in the carpet. Utilize professional carpet cleaning services to ensure that your carpet area is clean and safe. Mango Maids uses modern steam cleaning technologies to ensure your carpet stains, dust, and other dirt is completely removed. Mango Maids can completely revitalize your carpeted areas. Dirty carpets in your Saskatoon home can lead to a number of potential issues. Stains and dust in your carpets can make any room in your home less comfortable and inviting. Carpet contaminants can also create air quality and contact cleanliness issues. Dirty carpets can cause rashes from contact and emit dust or mold particles into the air of your home. Keep yourself and your loved ones safe with professional Saskatoon carpet cleaning services! 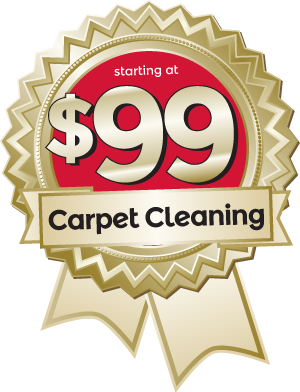 Do the carpets in your Saskatoon business need cleaning? Are the stains affecting the look of your carpet or are they creating a dusty work environment? Then contact Mango Maids for professional commercial carpet cleaning services today! Out team will use custom and eco-friendly products and approaches to meet your specific commercial carpet cleaning needs. For all your Saskatoon carpet cleaning question and requirements, call or book a consultation online with Mango Maids. The expert team at Mango Maids can handle all your specific Saskatoon carpet cleaning needs. Out team has the products and experience to complete clean your Saskatoon home or business with an effective, efficient and eco-friendly approach. Do not hesitate to contact Mango Maids today with your Saskatoon carpet cleaning needs! Contact Mango Maids today for carpet cleaning services in Saskatoon – fill out your information below and our customer service team will be in touch with you shortly! * For basic carpet cleaning only. Properties with square footage larger than the maximum amount for this promotion may require additional charges. Please contact for more details.